Prada CEO Patrizio Bertelli said Friday the family-owned Italian fashion group has no intention of selling and that his elder son with co-CEO and creative director Miuccia Prada is being groomed to take over. Lorenzo started working in the communications department in September. While other Italian companies, including fashion brands, have sold when facing generational change, the 72-year-old Bertelli said “I have no intention to sell.” Nor is he looking to expand the Prada Group, which also includes the Miu Miu fashion brand, Church’s and Car Shoe footwear brands and the Marchesi pastry company, with fresh acquisitions. He did not say when he or Miuccia, 69, would consider stepping aside. Past examples show that the transition from the founding generation is not always a successful one, with the creative transition often the toughest. The Gianfranco Ferre brand has virtually disappeared after a period of receivership and then purchase by a Middle Eastern group. Jil Sander, which Prada briefly held, has changed designers several times since Sander gave up control. Roberto Cavalli is on its second designer after the founder turned over control to a private equity firm. Bertelli unveiled the new site in the Arno Valley where the fashion group develops the sought-after Prada and Miu Miu handbags and leather accessories. The 32,000-square-meter site is integrated with pools of water and blooming jasmine, grapevines, pomegranate trees and other greenery both to improve the experience of its nearly 800 employees and to help the environment by absorbing 20 tons of CO2 a year, the CEO said. It is one of 10 Prada factories in Tuscany. The handbag is key to Prada’s success, comprising 60 percent of its revenues, with the rest split largely between ready-to-wear and footwear. Prada is forecasting a return to sales growth this year after several years of profit decline. Bertelli said the best way for the brand to respond to trends is to completely control production sites. 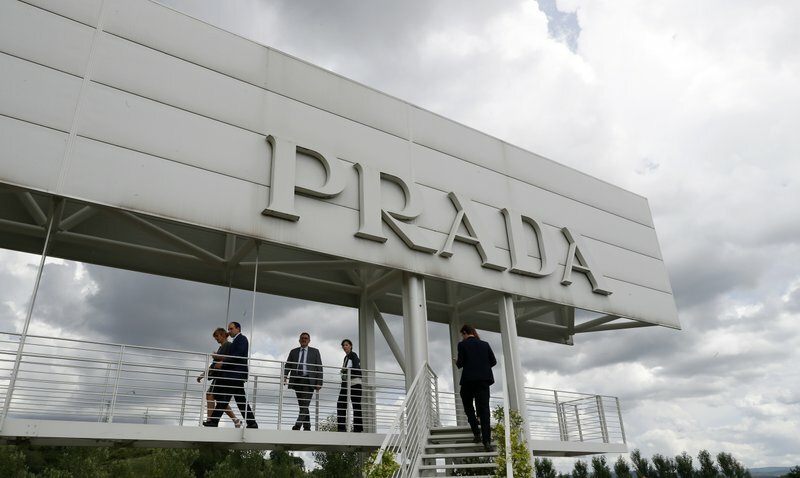 Prada owns 35 percent of its production sites, 80 percent of which are in Italy -- bucking what he said was the sector trend of outsourcing production. He would not say how much the Valvigna plant investment cost, only saying that it was less than 70 million euros ($82 million) -- 2 million euros of which were for the greenery. Like other fashion brands, Prada is targeting millennials, the generation born before 2000 and who are up to 35 years old now — encompassing the ages of Bertelli’s two sons. They are responsible for 60 percent of Prada sales, and will inevitably tip the luxury market even more toward China, where there are 400 million millennials, compared with 80 million in the United States, he said. After Gucci — owned by the French conglomerate Kering — unveiled to the investment community this week a video showing a robot making shoes, Bertelli said such production didn’t fit his notion of luxury. “To make a luxury product, like a handbag, it is not possible,” Bertelli said, while conceding that it could be done for more casual footwear like sneakers.